Dark clouds are looming so I've taken one set outdoors without flash and one set indoors with flash. 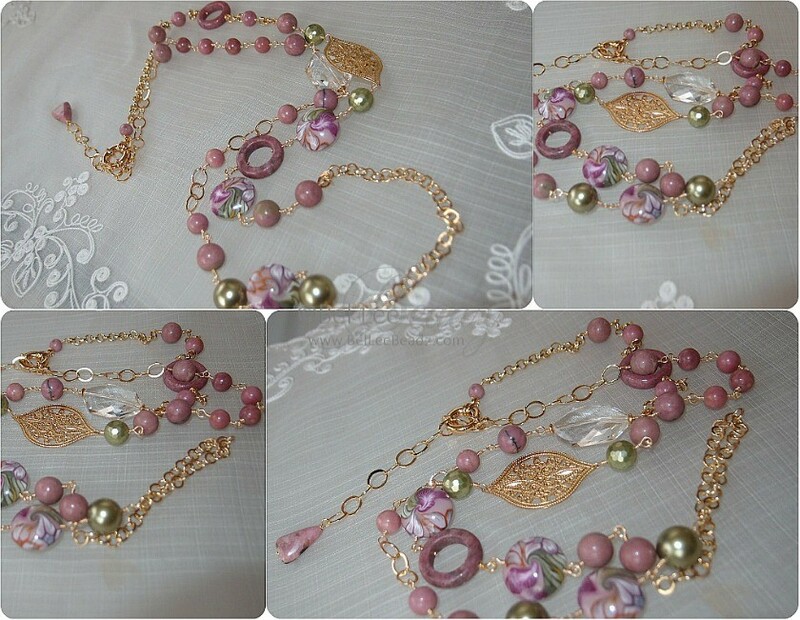 The outdoor pics are a little dark but the indoor set reflect the actual colours very well. 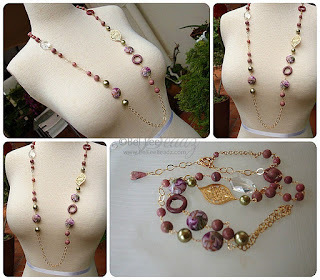 Comprising smooth Rhodocrosite rounds and donuts, the rest of the necklace consist of vermeil chains, connectors and swarovski pearls and a huge Czech glass faceted focal. Chain measures approx 35" with a 3"extension at the back.